Don’t be afraid to go pink! Many people think of rosés and they think of super-sweet pink wine… but what you might not know is that traditionally rosés are dry. As a general guideline most Old World (European) rosé wines will be on the dry side and most New World (everywhere else) rosé wines will be less dry. For example, most rosé wines made in NYS will be on the sweet side. Rosé wine is made with red grapes. The skins are left to macerate (become softened by soaking) in the clear juices from the grapes. The longer the skins are left in, the darker in color the rosé will be. The longer the skins stay in the juice the more tannic characteristics you will find in the rosé. Where in the world is Rosé from? The answer to that is simple… anywhere! Rosé can be made from any grape that is grown in any region of the world. It can even be made from a blend of grapes. The most common countries it is produced in are France, Spain, Italy and America, although you can find great rosé wines from other regions. 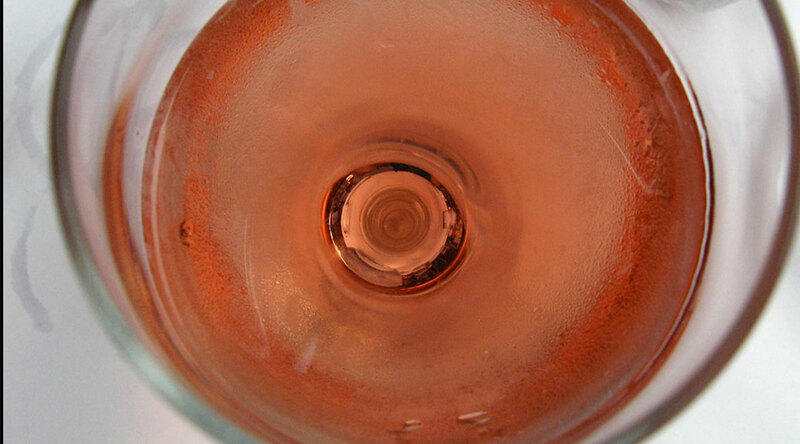 When is the time right to pop the cork on a Rosé? Unlike other wines, rosé will not get better with age. So feel no guilt when you open a bottle that is only a year old. Can I drink rosé with my meal? Yes, of course! Rosé is a great go-to wine when you are looking for something with a little more flavor than a light-white, and more refreshing than a typical red. It is especially popular during the summer months. It goes great with bbq, chicken, grilled steak, fish, veggies, you can even use it to make cocktails! Click here to check out our Rosé selection!